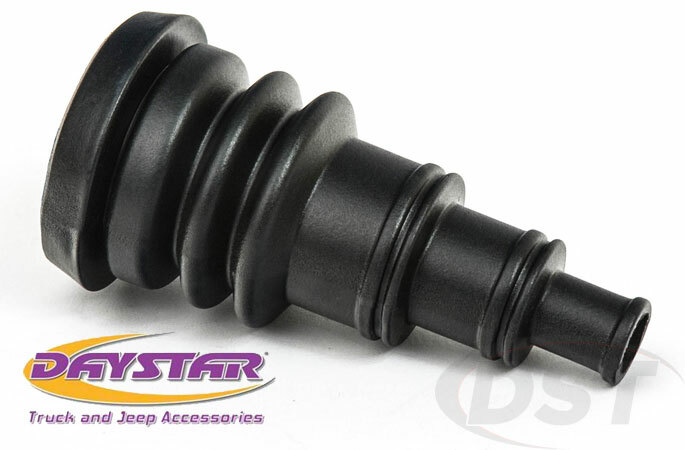 Daystar Firewall Boots protect your wires and hoses from getting cut or frayed on rough edges as they run through your vehicle's firewall. Like a firewall grommet, these boots create a protective layer between your lines and the metal they run through, but these universal firewall boots will fit several different diameter holes with one part. Simply install the boot, run your wires or hoses, then secure it with a zip tie. No matter how rough the trail gets you can rest assured that your electronics and hoses are safe with Daystar's firewall boot.